The biggest problem with Jon Huntsman Jr.'s presidential bid is that the public hasn't gotten to know yet just how perfect he'd be for the job. At least according to his proud father. "I think when they get to know Jon Jr., they'll recognize what a tremendously talented and capable individual he is," Jon Huntsman Sr. said. "That comes straight from a father." 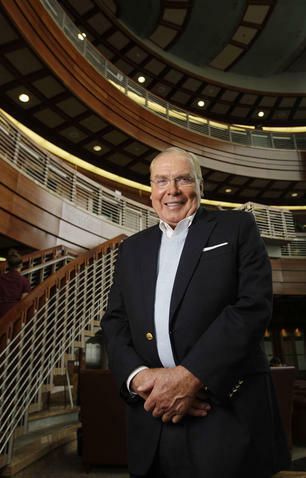 The billionaire industrialist and philanthropist offered his views on his son's campaign during an interview about a major expansion of the Huntsman Cancer Institute that will be dedicated Friday. Huntsman Jr. is expected to be in Utah for the event.